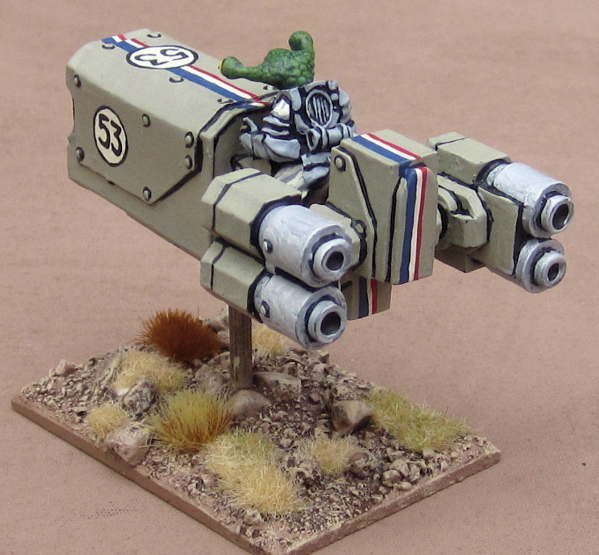 Tim's Miniature Wargaming Blog: YET ANOTHER JET BIKE! 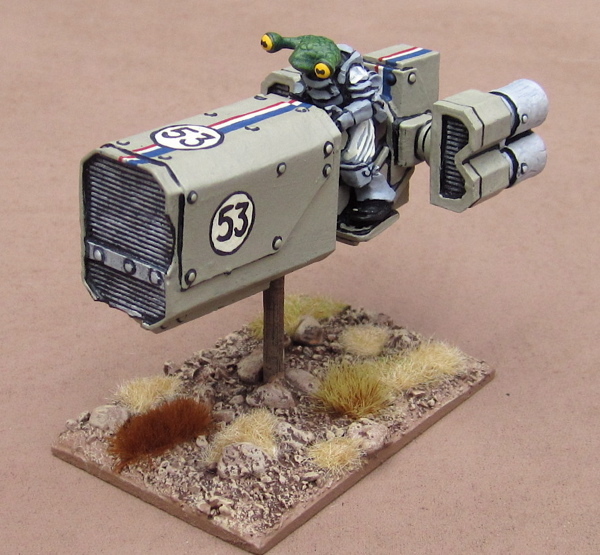 Curtis and I have been working on some jet bike racing rules for BOYL. Perhaps you could give them a spin for us. Let me know if you are interested. I'm actually planning to use a modification of Faustus Furius to run a jet bike racing event at ToonCon 2017 in the fall! I'm pretty happy with FF (or FF3K as I'm calling my modified version), but I'd be willing to have a go at your rules! Thank you, Eric! Not only for your comment, but also turning my attention to this Kickstarter - these are going to be a LOT of fun putting them all together! Oh, I like this one the best! Great addition with that Hasselfree head, too. Love the buggy yellow eyes (like a Muppet). I like that the bike looks more home-built and both the bike and rider have loads of character. Excellent work! Going for a Herbie the Love Bug look on the latest Tim? Nicely done! 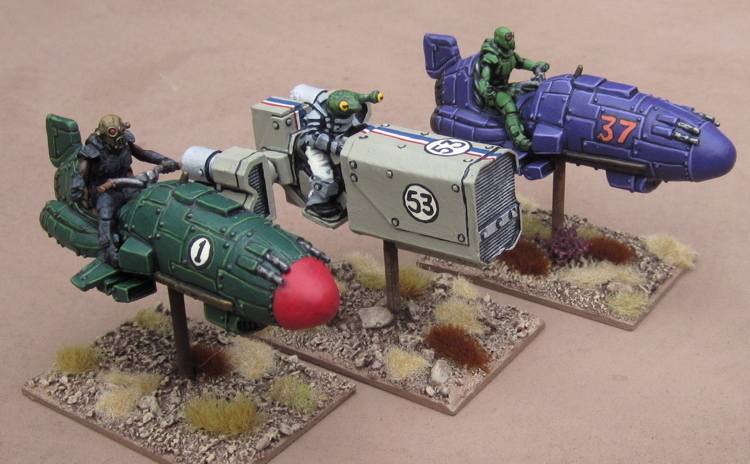 Wow, these are very cool - love the whacky sort of pulp look they have. And top-notch painting as well. 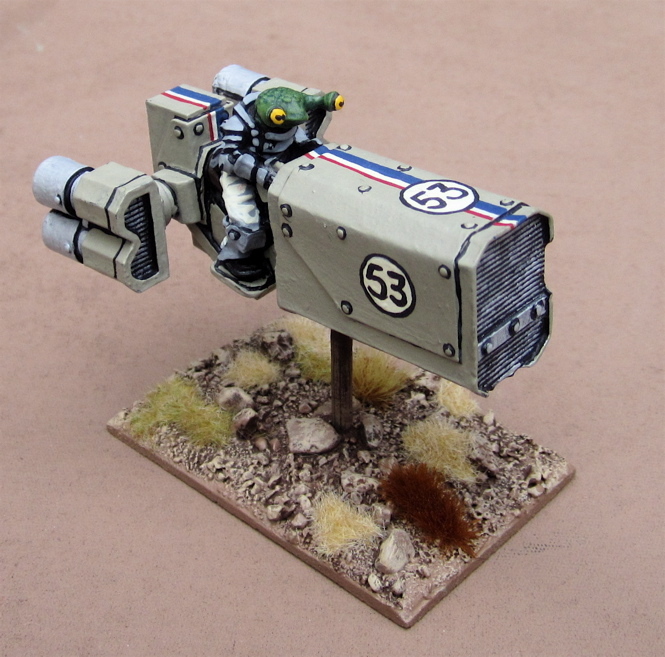 Love the jet bike, best one so far! Don't they find herbie in a lock up all dirty and dusty and after that he's all clean? I think I saw Herbie Goes Bananas at the theatre. According to this picture from wikipedia he had some rust on him at some point in the film. So I guess I could have rusted this one up a bit... Ah well, I have lots more to do. Some will be rusty! I like the mid-80's Freightliner look to this model and the painting just highlights that. though I'm not entirely sure WHERE i'd put mudflaps on one of these...?